FINALLY! Audrey Hepburn: An Audiovisual Presentation has been released! Firstly, Happy Birthday to the beautiful Chrisette M who has released a fantastic mixtape on the day of her birthday. With songs like Charades ft. 2 Chainz, Rich Hipster ft. Wale, Can the Cool Be Loved ft. Dunson and Bilal and Your Fair Lady ft. Guitar Slayer already released, Chrisette Michele has given us the rest of the 5 songs that make up her mixtape. Every song does have a feature, but that does not stop Chrisette from shining through on the mixtape and blessing us with her soulful vocals on each track. 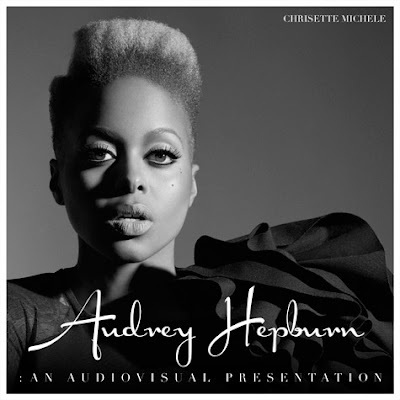 The mixtape was inspired by the late Audrey Hepburn, which took Chrisette Michele on a journey to Europe earlier this year to find out more about the late icon. Look at the tracklist and listen/download/stream her mixtape below! Enjoy! !